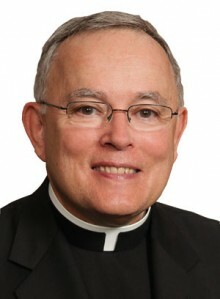 Remarks of Archbishop Charles J. Chaput, O.F.M. Cap. Thank you Archbishop Paglia, and thanks to all of you for being here this morning. A year from today we’ll be in the final countdown for the World Meeting of Families in Philadelphia and – we sincerely hope – a visit from the Holy Father. Next year’s event is becoming more real by the hour. It’s a very big undertaking. Philadelphia has deep religious roots. And Pope Francis is very well loved both within and outside the Catholic Church. So as I’ve said elsewhere, we expect between 10,000 and 15,000 attendees from around the world for the family congress. And a papal Mass could easily draw more than a million people. Fortunately, we’ve had great support from major donors and business leaders in the Philadelphia community. Also from civil authorities at every level of government. I’m also deeply grateful to Archbishop Paglia and his staff for their leadership and help. I want to briefly touch on two points today before we take questions. Here’s my first point. Earlier this spring in Philadelphia we released the official theme of the next World Meeting of Families: “Love is our mission: the family fully alive.” We built our theme on St. Irenaeus’ great words that “the glory of God is man fully alive.” In like manner, the glory of men and women is their capacity to love as God loves. Life in a family is a summons to embody that love in everyday life. Today we’re releasing the catechesis — in other words, the official teaching document — that will help parish and diocesan leaders, catechists and other interested persons prepare Catholics across the globe for next year’s meeting. The text was developed by Dr. Christopher Roberts of Philadelphia. He had the help of a wonderful team of international scholars and the very generous support of Our Sunday Visitor Publishing. The catechesis develops its teaching in 10 simple steps. It starts with the purpose of our creation and moves into the nature of our sexuality; the covenant of marriage; the importance of children; the place of priesthood and religious life in the ecology of the Christian community; the Christian home as a refuge for the wounded heart; the role of the Church; and the missionary witness of Christian families to the wider world. The text gives us a foundation for all of the different programming that will go into the World Meeting of Families — from major talks, to panels and breakout sessions, to family entertainment during the event. The text is currently available in English and Spanish. Portuguese, French and other language editions are planned this fall through the efforts of the Pontifical Council for the Family. The catechesis also includes the special prayer we commissioned to prepare for the 2015 gathering. Here’s my second point. With Archbishop Paglia’s blessing, our Philadelphia team commissioned a painting that will represent and permanently commemorate World Meeting of Families 2015 in a special way. We unveiled it publicly in Philadelphia on September 7, and it’s my pleasure to share it with you today. The original four foot by five foot oil painting will be on display in Philadelphia’s Cathedral Basilica of Sts. Peter and Paul throughout the World Meeting of Families. Along with the traditional figures of the Holy Family – Jesus, Mary and Joseph – the artist has included the parents of Mary, SS. Anne and Joachim. They’re a reminder that, today and throughout history, the Christian family includes both the young and the elderly; it reaches beyond parents and child to include grandparents and many other extended relations. The artist is Neilson Carlin, a Philadelphia area native with a substantial and growing reputation for his talent. And as you can see, he’s done wonderful work. I’ll be happy now to answer any questions you have about the catechesis or the painting, as well as the structure and content of the actual event. And I do ask you to remember our efforts in your prayers so that Philadelphia — which really is one of my country’s greatest and most beautiful cities, filled with so much history — offers an unforgettable celebration of the family to the world.